Sea Salt Sweet went through many rounds of copyediting, proofing and fact-checking yet there was one error printed in the Smoke and Stout Chocolate Torte recipe (pg. 181). There were several iterations of the cake, and unfortunately the recipe was printed with ‘cream’ in the instructions. Cream is not an ingredient in the recipe. Although most ganache is made with cream, this one was not. Overall our taste-testers enjoyed the slightly bitter flavor of stout ganache as a foil to the sweetness of the cake. Having said that, recent book reviewers experienced problems with stability of the ganache made with stout. If you're wary of the outcome, you may use an equal amount of cream for the chocolate stout in the ingredients. 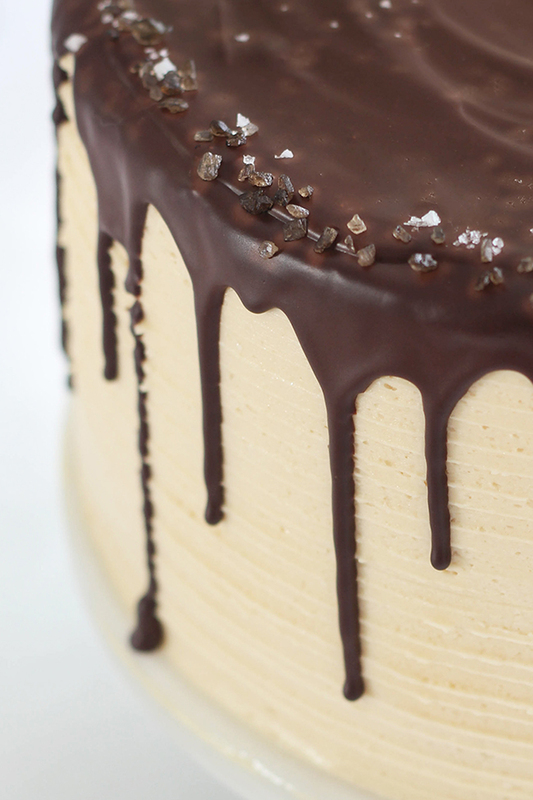 Ganache made with cream is always delicious. This book is well over a year into its publication and this is the only error we are aware of so far. Please feel free to email me with further questions: heather@sprinklebakes.com. Make Your Desserts Even Sweeter—With Salt! If you've ever dipped pretzels in melted chocolate or sprinkled salt over a juicy melon slice, then you’ve discovered the magic alchemy in mixing saltiness with sweetness. The recipes in Sea Salt Sweet take it up a notch, combining these two great tastes in ways you’ve never imagined. 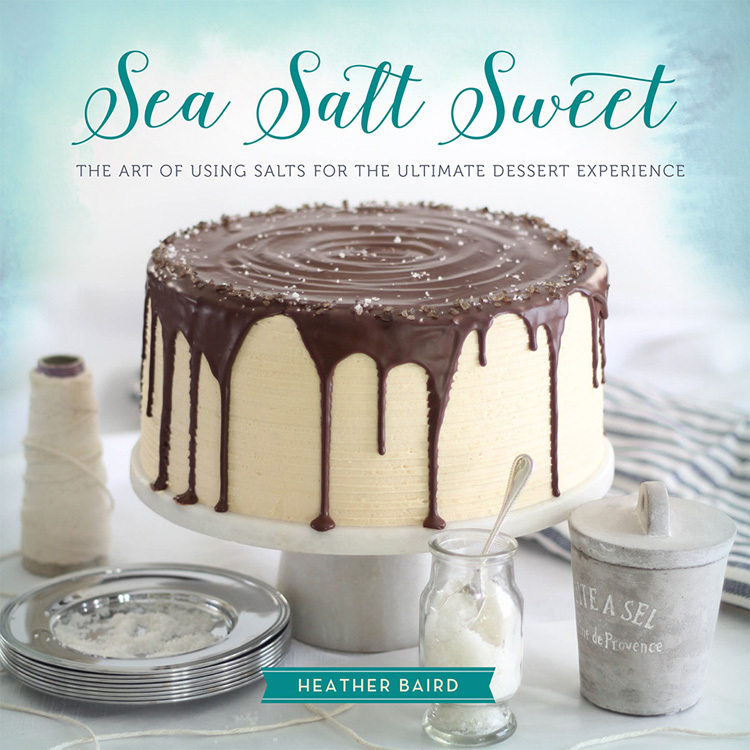 Award-winning blogger and master baker Heather Baird teaches you how to use fine artisan salts — from Maldon Sea Salt and Red Hawaiian Salt, to Himalayan and French Grey Salt — to make mouthwatering desserts for any occasion. From sure-to-please classics like Chocolate Chunk Kettle Chip Cookies and Lemon Pie with Soda Cracker Crust, to more exotic choices like Black Sesame Cupcakes with Matcha Buttercream or Smoke & Stout Chocolate Torte, Sea Salt Sweet offers delectable “must-try” treats for the salty-sweet lover. 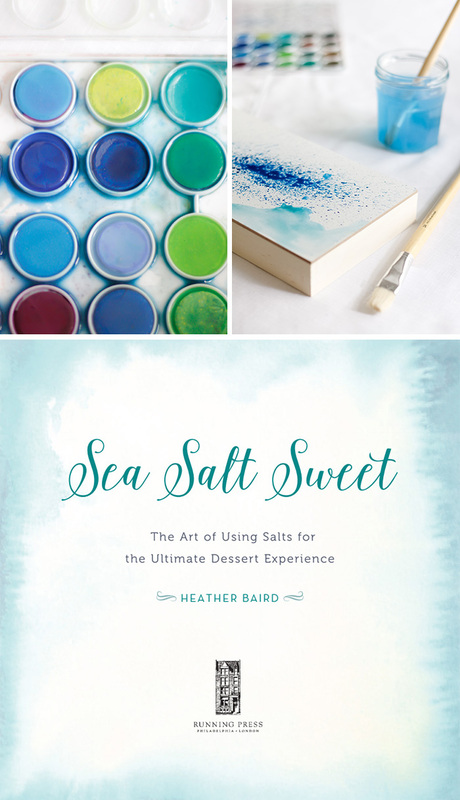 Heather Baird is the author of SprinkleBakes: Dessert Recipes to Inspire Your Inner Artist. Her food blog has been twice nominated by Saveur magazine as best baking blog, and her desserts have been featured in Better Homes and Gardens, Ladies' Home Journal, BettyCrocker.com, and Etsy. She lives in Knoxville, Tennessee. 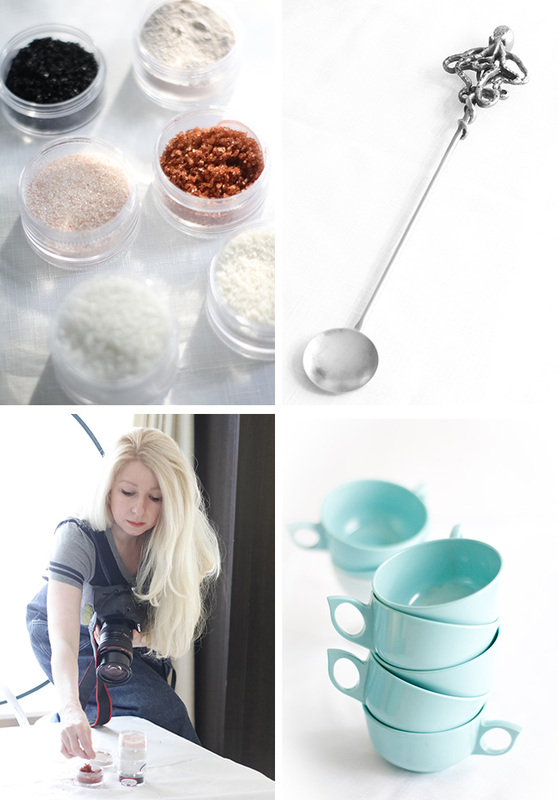 These videos may be used along with the corresponding recipes in Sea Salt Sweet. I've learned that there's an art to using salt in baking and confectionery. Sea Salt Sweet will show you how to add salt to your sweets in order to achieve the most mouth-watering, crave-worthy results! Better yet - it will demonstrate the best kinds of salt to use in a particular recipe. It's a primer to all kinds of colors and textures of sea salt, from powdery velvet sel gris, to the beautiful coarse topaz crystals of Alderwood smoked salt. The first chapter, called "A Pinch" uses salt in a subtle way, usually as a flavor-enhancer and leavener in batter and dough. As chapters progress salt is utilized differently -sometimes it's front-and-center on top of buttery toffee, and other times it's hidden in umami-rich ingredients like red wine and sharp cheddar. Salt and sweet together holds true cultural significance in the south. Because I was raised on this divine contrast, some chapters include my most treasured family recipes. The mood and style of this book was important from the get-go, and so I endeavored to find the most beautiful objects possible. 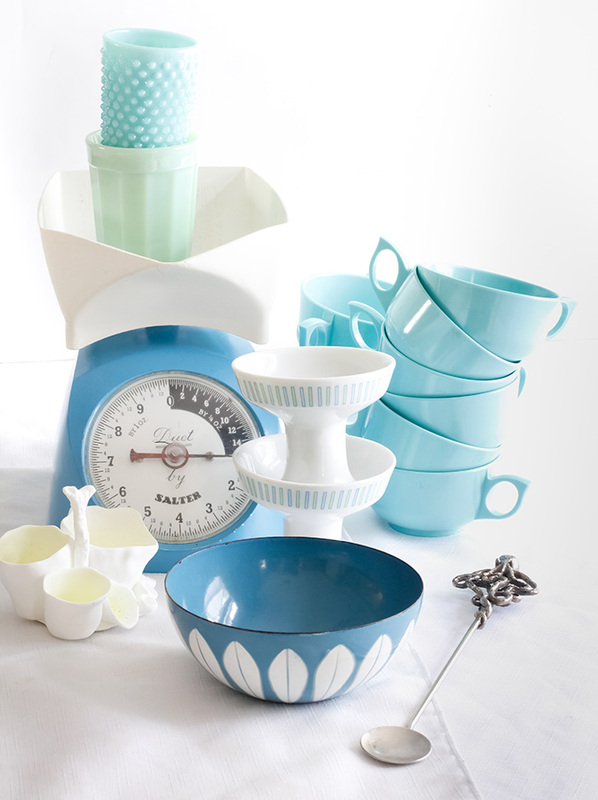 I scoured antique and vintage stores to find my favorite mid-century dish-makers such as furniture designer and onetime dish designer Paul McCobband Scandinavian designers such as Cathrineholm and Nymølle ceramics of Denmark. Let's talk about The Cake. This magnificent candy bar-inspired confection is dubbed 'Smoke and Stout Chocolate Torte' . I crossed my fingers that it would be chosen for the cover. In my experience, the cover is one of the most scrutinized elements because it is the face of your book - catching eyes and inviting folks over to bookshelves (virtual and otherwise). Iterations cycle through the editor, the designers, and the sales team and back to the author (and in my case, then passed on to my smart literary agent). Altogether, the cake was voted in, and I couldn't be happier. And I just can't wait for you to try the cake (hurry up November)! It's difficult to express how completely I've put my heart into this book. Aside from developing the recipes, baking, shooting and styling them (and writing about them, too) I also contributed some original watercolors to the design of the book. To say I'm hugely proud of this work would be an understatement. I just can't wait for you to read it! The release date is set for November 3rd (just in time for Christmas!) but you can pre-order in now at a reduced price from Amazon and Barnes and Noble. You can also find it at Books-a-Million, IndieBound, and Powell's.